Many Chinese recipes are really simple and easy to prepare with just a few basic ingredients and seasoning, yet the dish can be awesome. 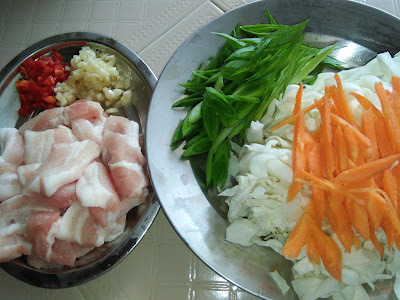 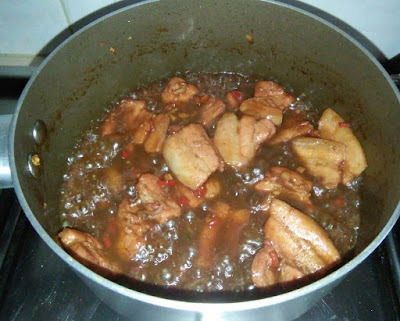 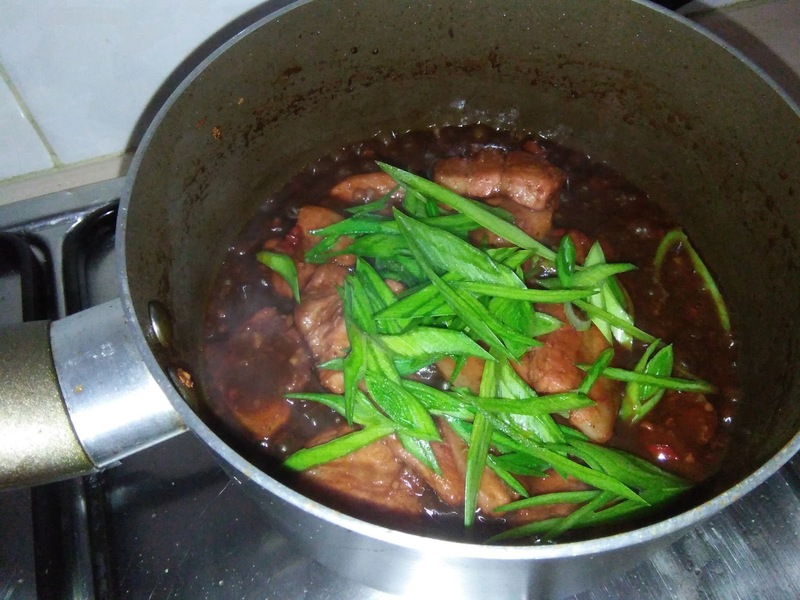 If you can grasp the basic seasoning ingredients like soy sauce, wine, oyster sauce, sweet bean paste sauce, a little sugar, pepper, vinegar etc. 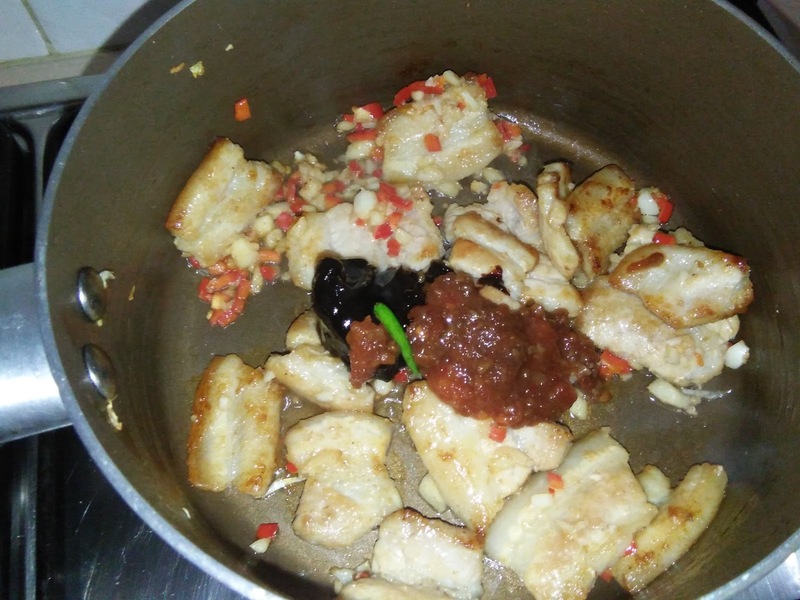 you will end with a delicious meat, chicken and even seafood dish. What more you can even add some vegetables of various colours, there it is a tempting dish to enjoy. 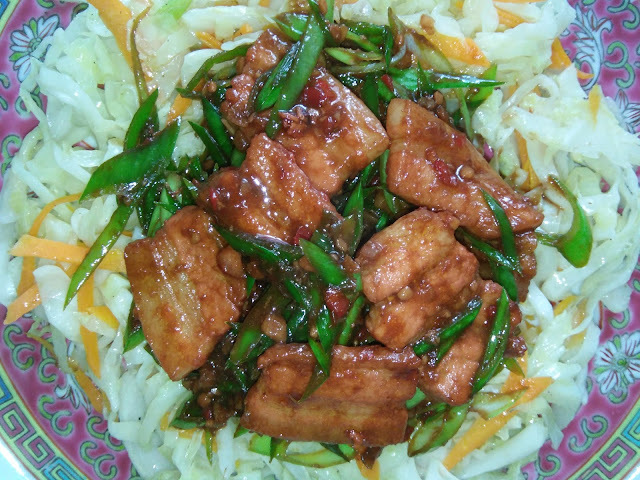 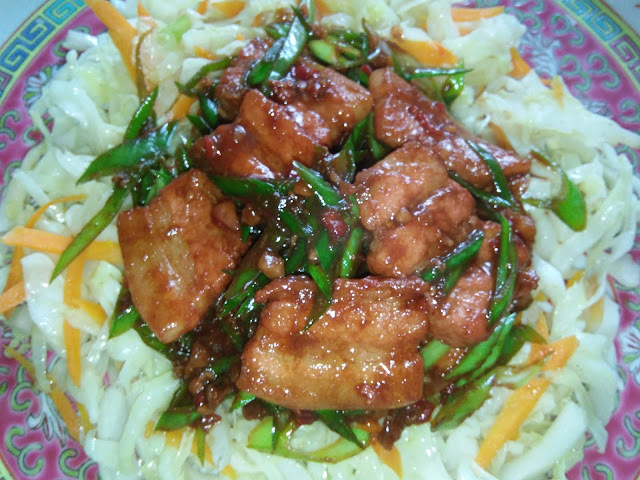 This recipe is a simple and easy to prepare dish where you get to enjoy tasty meat slices with a spread of stir fry vegetables that is sufficient for a good lunch or dinner. 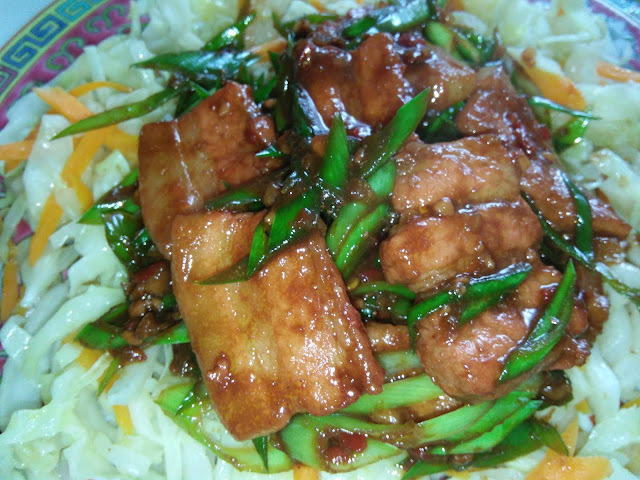 The meat is savoury, spicy and sweet, very tasty of course as you chew at it. The vegetables are naturally sweet with just a sprinkle of salt and pepper. Great combination. 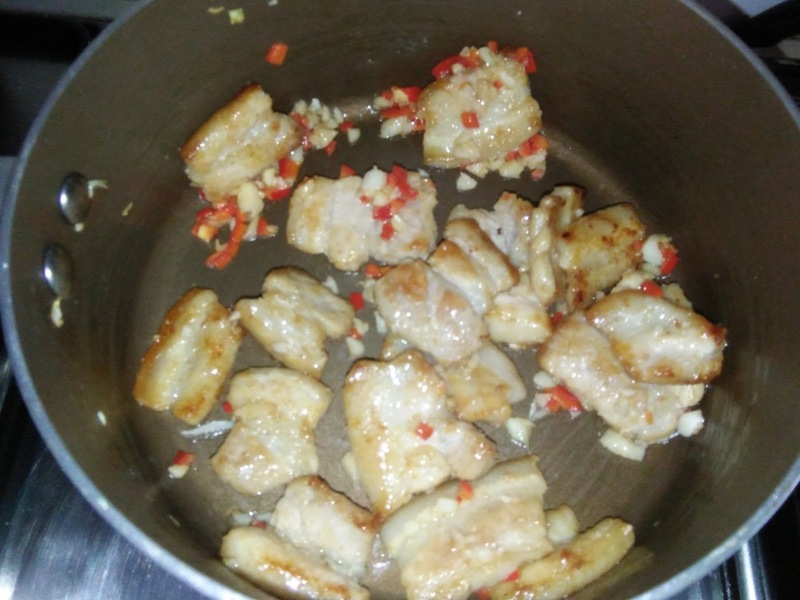 Heat a non-stick pan, fry pork belly pieces until oil oozes out and lightly brown. 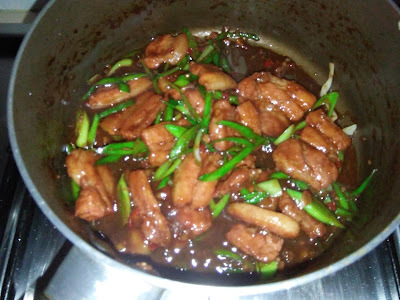 Dish up. 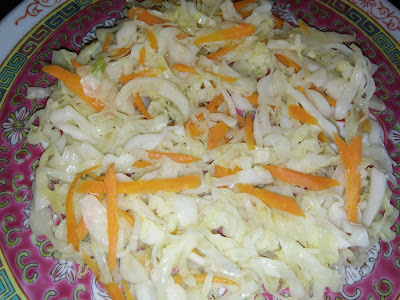 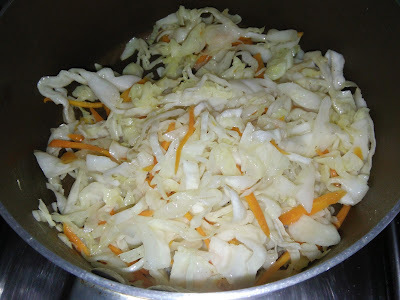 Using the same pan with the oil, fry cabbage and carrots until cooked through. Season with some salt and pepper. Add in leeks, fry to combine and dish up onto serving platter. 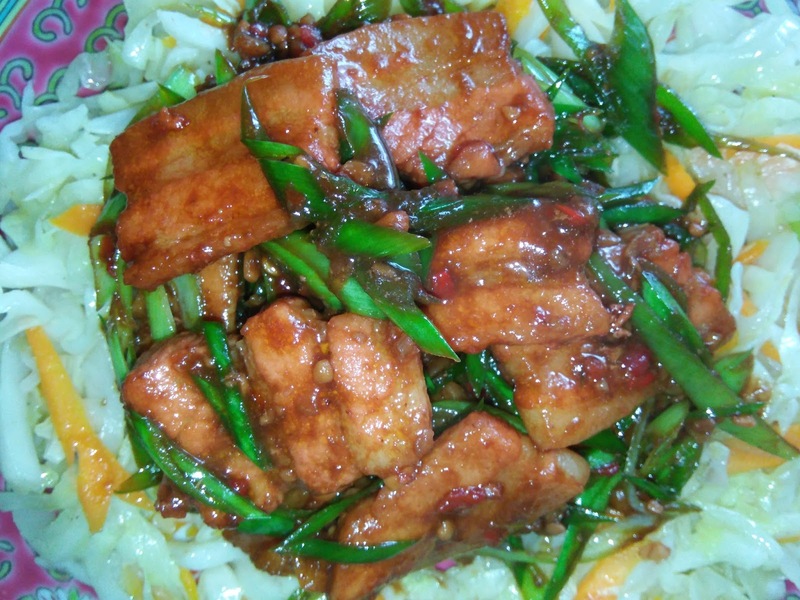 You can add leeks to the meat pieces, too. 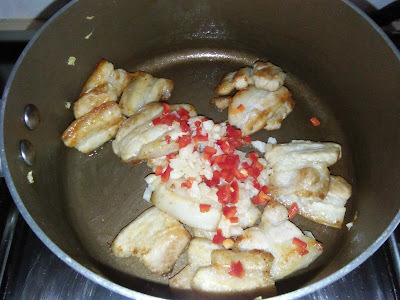 Using the same pan, return the fried pork belly pieces, garlic and red chilli. 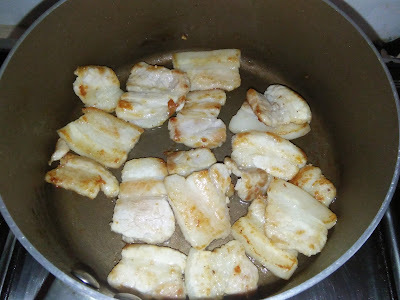 Fry for 1-2 minutes until aromatic, add in seasoning ingredients and some water. 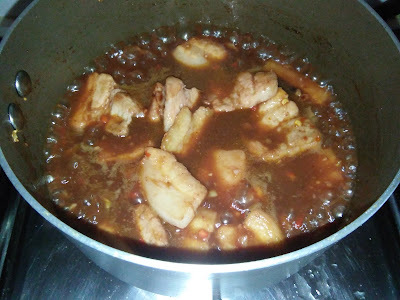 Bring to boil and braise until the sauce is reduced to thick. Dish up, place over fried vegetables.